The world has moved from the United Nation’s Millennium Development Goals to Sustainable Development Goals (SDGs) to make the planet more sustainable: One focus of the SDGs to “make cities and human settlements inclusive, safe, resilient and sustainable.” In recent times, different terms for cities— such as “smart city,” “resilient city,” “livable city,” “inclusive city,” and “world-class city,” etc.—have emerged. 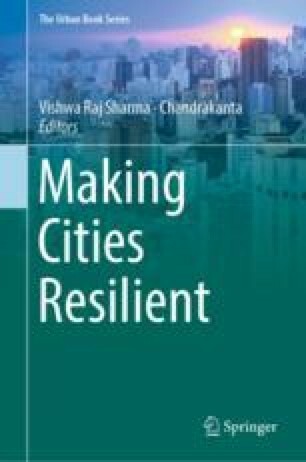 Traditionally, in the classification of cities in India—such as “class I-VI cities,” “metro city,” “mega city,” etc., population size was one of the major criteria; the city size was used to signify the level and number of functions it performs. Most of the world’s population today lives in cities and over time, due to the size of the population, various problems have emerged. Increasing urban population with urban-ward migration is responsible for many challenges faced by the cities around the world, especially in Asian, sub-Saharan Africa, and Indian cities. Cities such as Delhi and Mumbai are the worst affected by the large population base, in which the rapidly increasing population has severely affected capacity of cities. Due to resource constraints, it will be difficult in the future to provide all services to residents. In addition, unplanned growth will lead to many types of social, economic, environment, and health problems.